CE approved * | ROHS approved * | ISO9001 approved * | BISHTA Affiliated | Balboa Approved | Est. since 1999. 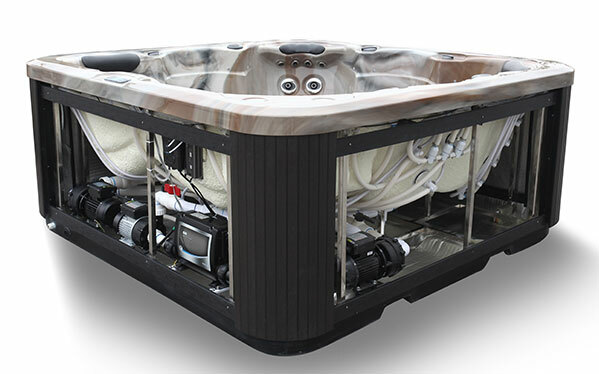 Hot Tub Suppliers are only one of a few companies which show images of the inside of their hot tubs so you can admire the inner construction & quality. Our shell quality, stainless steel frame plus 360 degrees insulation gives each hot tub we produce unparalleled insulation & protection. Even though our designs are made to the highest specification & we work to industry standards, we can offer the best prices as we are web-based with streamlined efficiency. Unlike local dealers who can only sell in a certain population radius hence large margins on their products, we cover the whole country so therefore we can be more competitive on price as our radius is more vast. We believe the consumer deserves transparency so our costs are clear from our home page with no hidden horrors awaiting at the checkout. We monitor our competition closely so our prices are always superior for the quality we distribute. Always compare our prices against "blue chip" companies & not "quality slip " companies. We work hard on our service and have received very good reviews to show for our efforts, these are all genuine reviews from real people and we are very proud of each appraisal we have published. 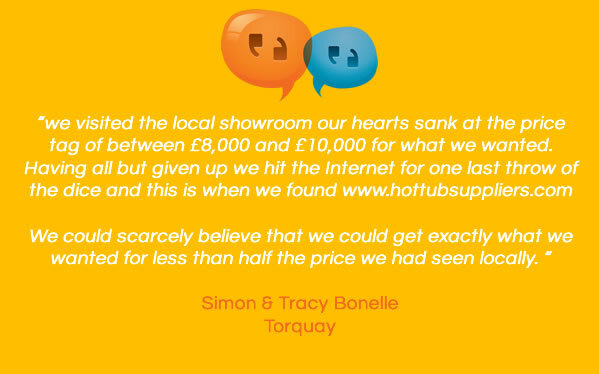 "We purchased our hot tub from Hot Tub Suppliers and could not fault the excellent before and after sales service we received. I kept phoning with questions before our purchase and nothing was too much trouble for them to answer my queries. The guys that came and delivered our hot tub were very helpful and polite. We have had our tub a few months now and have used in all weathers. Nothing better than a cold night and a clear sky." Unlike supermarkets who run hot tubs as "flavour of the month" items with a lack of product advice and after-sales support. we are committed to providing a premium quality in product, service & advice. Our extensive range of support videos plus downloadable brochures runs alongside our communication network of email, telephone and even SMS to give the most comprehensive and unique after sales support in the industry. 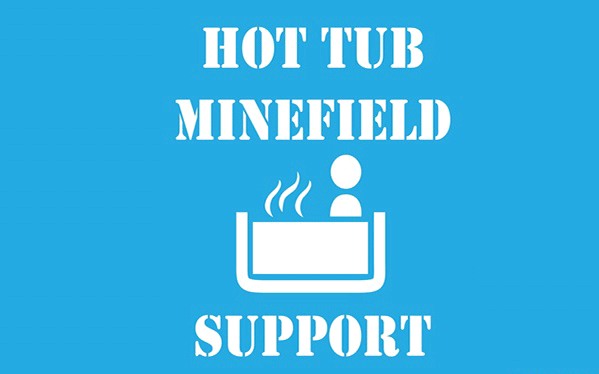 Whether it's a sunny July afternoon or a cold morning in January, we will still be focusing on our role as a 12 month a year specialist hot tub company. We are BISHTA affiliated (British & Irish Spa and Hot Tub Association). 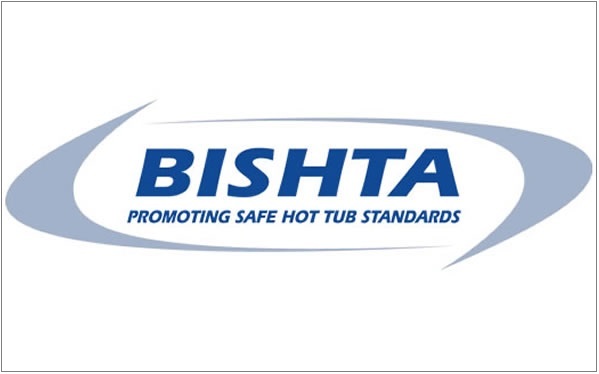 BISHTA exists to promote high standards of trading, water safety, enjoyment & value, by registering suppliers of spas, hot tubs, accessories & water purification products. BISHTA members follow strict guidelines in Spa and Hot Tub safety & trading practices. They have personnel trained in water hygiene and treatment. They are committed to observing the BISHTA Standards and a Code of Ethics. 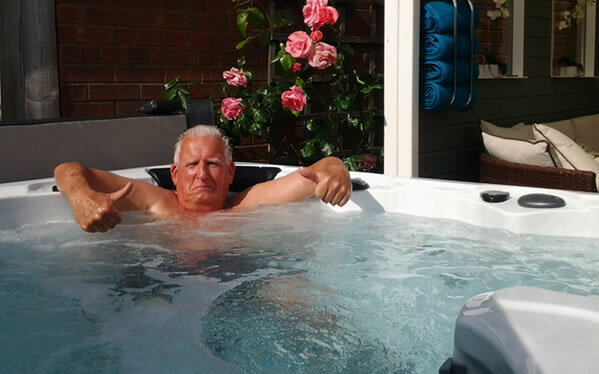 When buying a hot tub it's strongly advised to only work with BISHTA affiliated members. 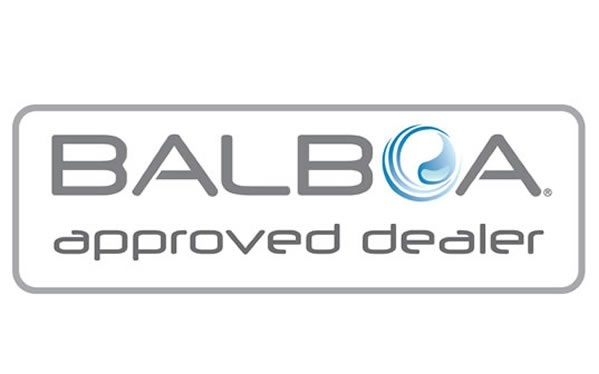 The Balboa Water Group are regarded as the manufacturers & designers of the most complete hot tub systems in the world. 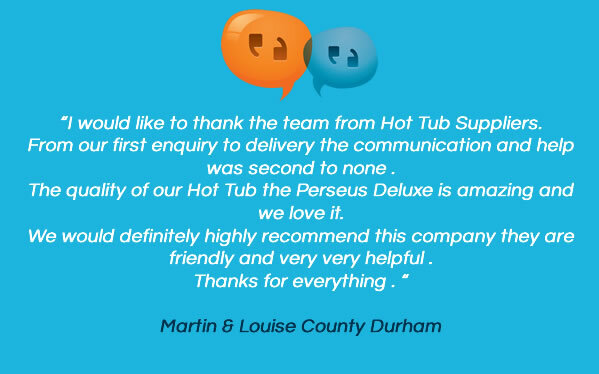 To get the stamp of approval is an accumulation of respect & status of the work we have done here at hot tub suppliers plus the quality & infrastructure of the brands we offer. All of the Zspas & Zen Spas range of hot tubs have Balboa Water Group control systems installed. In 2014 Balboa recognised the work at Zspas & Zen Spas to give the Approved Balboa Dealer Stamp. 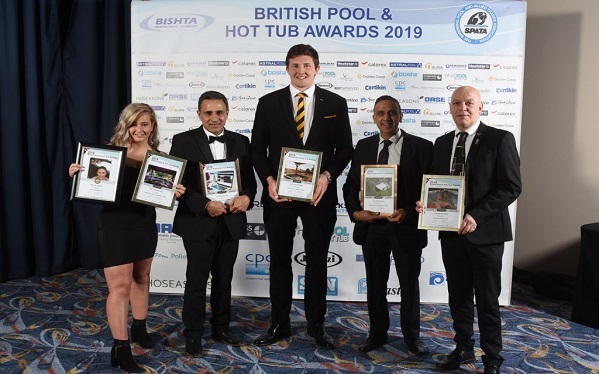 For three years running, we have won Gold and Bronze Awards at the prestigious British Pool & Hot Tub Awards, hosted by BISHTA and SPATA. The British and Irish Spa and Hot Tub Association (BISHTA) and the Swimming Pool and Allied Trades Association (SPATA) are the relevant trade associations upholding standards within the Wet Leisure Industry. We want our customers to feel free to browse our website with no forceful sales pressure, our website is designed to be easy & informative & easy to navigate. Once the order is placed, our delivery team will liaise to arrange the best possible delivery dates & times including a time window for the delivery. We have a deposit scheme where the customer can reserve a hot tub for only £299 & then pay the balance after delivery dates are confirmed with the logistics company. Some companies take full payment or larger deposits & keep the customers waiting whilst holding the money, with us, this is not the case. Common sense service is no hassle to buy, easy payment terms & transparent prices. Direct or interactive communication is a key element to our after-sales service. We give advice on chemical usage, maintenance & hot tub preparation with videos & articles on our Website. 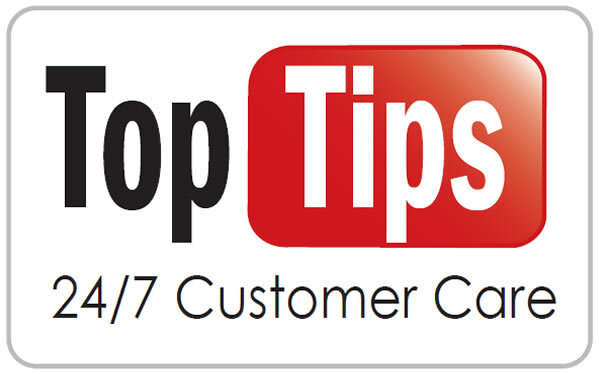 We are the only hot tub company with a video portfolio of over 250 videos of which the majority are help & advice tips. The design of the videos is to give unparalleled after sales support to all our buyers with a media channel that gives 24/7 support. We also are available on telephone/email and our new SMS service. 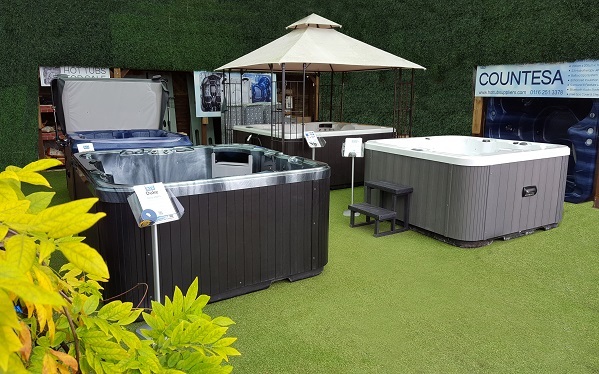 We strive to give the most 3 dimensional experience on our website with the use of images, videos & brochures to make every angle and degree of detail of the range of hot tubs clear to the buyer. We also have 2 options to get an even closer look to inspect the detail & quality of the range. At either Greenacres Garden Centre in the heart of the Leicestershire countryside or at our distribution centre in Leicester for more details click here.